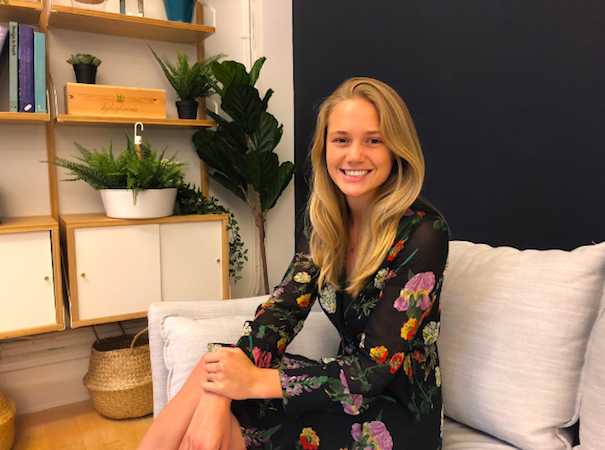 ALICE, the hospitality industry's leading operations technology, promotes Grace Quirk as Sales Manager for New York City. ALICE, whose headquarters are based in New York, connects every department of the hotel with one platform for all staff communication and guest requests. Beginning her hospitality career as an ALICE Sales Development Representative (SDR), the transition into her new role as Sales Manager coincides with Grace’s one-year anniversary at ALICE and a time of rapid growth for the company. Following its $26M Series B funding in 2017, ALICE acquired concierge software provider GoConcierge. The merger with GoConcierge has allowed ALICE to upgrade their services with existing clients and greatly accelerate the pace of new opportunities in New York City. A recent transplant from Boston, Grace has successfully immersed herself in New York City’s fast-paced environment, “I quickly discovered my passion for the hospitality industry through ALICE’s commitment to elevate the guest experience across New York City’s unique hotel landscape,” Grace emphasizes. "Whether its a top-shelf luxury hotel in Manhattan or a funky boutique hotel in Brooklyn, ALICE's technology gives its customers endless possibilities to improve guest satisfaction and achieve operational excellence." ALICE is the industry leader in hospitality operations technology. Over two thousand hotels across the country and around the world have chosen ALICE for the transformative effect joining all hotel staff departments onto a single platform has for improved task management and employee communication. ALICE's guest engagement toolset is also helping its clients deliver exceptional service with cutting-edge innovations like guest-to-staff texting. Grace is a graduate of Boston College, where she received her Bachelor of Science degree in History and International Studies. In her spare time, Grace enjoys discovering the best hidden restaurants in New York City and is training for the Brooklyn half-marathon.